Zodiac sign Pisces is one of the most cautious signs, but with a happy disposition and a tendency to be dreamy they can easily deal with deeper troubles if required. They are an extremely modest sign with a high level of generosity and extremely unselfish. They often underestimate their own abilities and believe that those that do brag obviously believe they know more than they actually do. Their symbol is the fish. Pisces being a dreamer requires grounding at times, this is what Taurus brings to this match. While Pisces offers Taurus the kindness and gentleness that they crave. A balance is achieved through Pisces dreamy outlook and Taurus down to earth approach, as both star signs like to nurture, the two different approaches are worked on until an understanding is reached. Their different emotional natures complement and harmonise with one another very well. The empathy and commitment these two star signs value is what keep the ties strong and long lasting. With Cancer having the get up and go and zodiac sign Pisces the dreamy ideas, this can be a real adventure, as Cancer unlocks the ideas that Pisces presents to them. This produces a very rewarding relationship as ideas and emotions are explored. Absorbed in intrigue and mystery this match can reach a true emotional depth unrivalled by other. 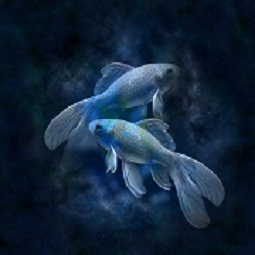 Cancer must be cautious not to stifle Pisces with too many demands and Pisces must be aware of their far away attitude at times, once these are recognised a true love match will form. Pisces offers kindness and sympathy which Scorpio appreciates greatly, while Scorpio offers a solid ground to develop a lasting relationship. Both can be a little introvert at times and because they both share this attribute understand each other well. Scorpio can be a little frustrated by Pisces's charitable attitude as Scorpio is a much more materialistic sign. This relationship can have an emotional intrigue that both enjoy. When these two join together in a love match it may appear to be opposites attracting. 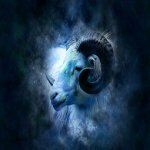 Capricorn is down to earth and regimented with a very strong work ethic, while Pisces tends to be more emotional and dreamy, Capricorn appreciates Pisces's kind nature and Pisces is attracted to Capricorn's quick humour. Pisces enjoys indulging Capricorn through their desire for domestic bliss, which combines well with Capricorn's need for a neat, tidy home. Capricorn needs to allow Pisces to enjoy many things and not take it personally when Pisces gets bored with something that Capricorn is focused on. Capricorn will stick with Pisces's pursuits after they've moved on to something else, in return Zodiac sign Pisces can sometimes show Capricorn that flexibility is better than a determination to do things a specific way.